It’s indoor riding season, and as such you’re likely stuck for hours on end on your trainer watching reruns—instead, take this opportunity to peruse some of our best training advice from 2016, including articles on how to perfect your bike handling skills or understanding the benefits of tracking your watts per kilogram. But, if you’d rather read these gems while under a blanket on the couch, don’t worry, we won’t tell. Part of a handful of metrics terms that come in and out of conversations on performance, knowing your watts per kilogram is a valuable way to compare riders of different body composition, as well as to understand how effective your training is for a specific type of ride or race. While many cyclists have one specific area of specialization (climbing, for example) where they naturally excel and focus a lot of their time, there is something to be said for becoming that rider who is proficient in every discipline. Here are five ways to become a truly efficient, all-around cyclist. Any serious cyclist will likely spend at least some time on a trainer either for efficiency or because of weather or injury. As such there are a number of indoor cycling apps to choose from. Here is a list of indoor cycling apps and a description of how they function so you can make the choice that’s best for you. One of the first things you notice when you get on an indoor trainer is that it’s harder to produce the same wattages as you can while riding outdoors. Here’s how to adjust for those differences so you can make every indoor session count. Climbing is an elusive skill that many cyclists want but few have mastered. Here’s an in-depth look at what makes someone a powerful climber—and what you need to do in order to become one. All the hard work you’ve put into that century ride or road race can quickly fly out the window if your handling skills are preventing you from reaching your potential. This primer on proper bike handling skills can help you shave serious time, and will also keep you and those around you safer. Those explosive last 200 meters of a race can be pivotal. But are you ready to put in a solid, final push? These four phases of training will prepare you to make the last 30 seconds of your race your defining moment. 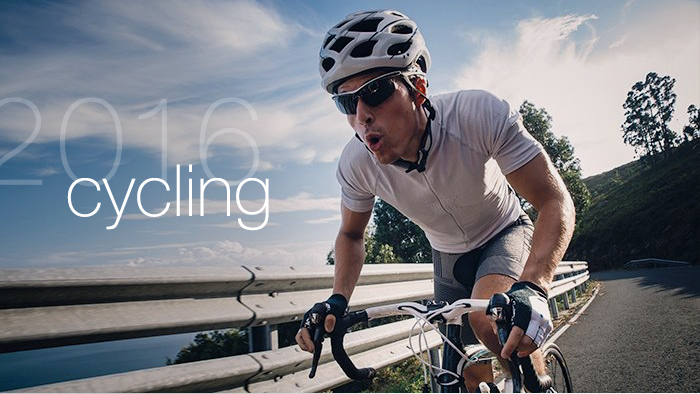 We’ve all heard that non-impact activities such as cycling can be bad for bone health in the long term. Here’s what this means for different types of cyclists, as well as what you can do to prevent losing bone density in the future. When pro triathlete Joe Skipper burst onto the scene in 2015 at IRONMAN Texas with a bike course record of 4:10:07, it was the result of a serious quest using, among other things, our own Best Bike Split software. Here’s how he used BBS race data and field testing to become one of the strongest IRONMAN cyclists in the sport. Still looking for more wit and wisdom to fuel your 2017 training? Check back each day this week for the rest of our 2016 year-in-review series with our top-10 articles about multisport, running, strength and nutrition.